This dinner was a HUGE HIT with everyone in the family. 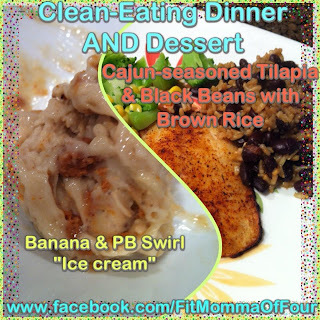 It was simple, tasty, & even included dessert! Combine 2 cups water, 1 cup brown rice, 1 tsp. EVOO, & 2 Tbls. Cajun seasoning in a sauce pan, bring to a boil, lower to a simmer & cover. Cook approx 20 mins., until liquid is almost completely absorbed. Add 1 can of black beans, rinsed & drained. Stir well. Cook an addition 5 mins or until liquid is absorbed & rice is tender. 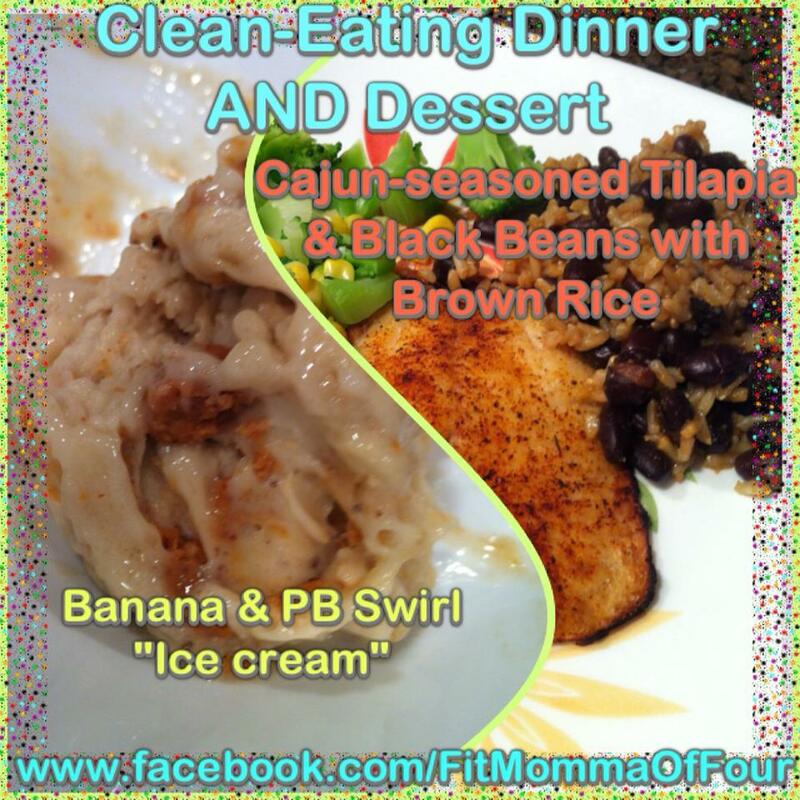 Click here for the Banana & PB Swirl "Ice cream" recipe.